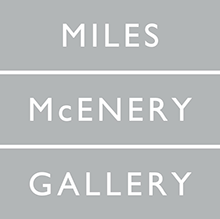 Susanne Vielmetter Los Angeles Projects is pleased to announce, movements, Yunhee Mins fifth solo exhibition at the gallery. 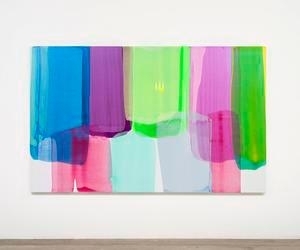 In her new work, Min continues to explore the sensorial potential of color, light, and gesture. Movements refers both to literal and suggested motion and change: her gestures on the canvas, the viscosity of her paint, and the way these actions combine to produce a shifting spatiality within her compositions. These paintings neither suggest infinite depth nor firmly reinforce the flatness of the support; instead there is continuous expansion of space generated by the relationship of each movement to the next. Mins intimacy with her tools is visible in the ease of her gestures. Her paintings are composed of supple vertical passes of intense pigments. Mostly these paths move in a single direction; occasionally they twist or bend back on themselves. These rounded, individuated gestures, defined by the width of her tools, the stretch of her arms and the fluidity of her paint, lend an open quality to the new paintings. Mins use of acrylic is dynamic. She allows wet paint to mix, pass, and intersect to produce compositions with an abundance of varying transparencies and subtle color shifts that feel vulnerable and ephemeral, like they might evaporate. Yunhee Min holds a BFA from Art Center College of Design and an MA from Harvard University. Recent site-specific installations and architectural interventions have been on view at the UCLA Hammer Museum, at the LA County Museum of Art, and at the Night Gallery, Los Angeles. Min has had solo exhibitions at LAXART, Los Angeles, CA; The Museum of Contemporary Art, San Diego, CA, project space; at ArtPace, San Antonio, TX, project space; the Yerba Buena Center for the Arts, San Francisco, CA; and Exercise, Vancouver, BC. Mins work has been included in exhibitions at the Los Angeles County Museum of Art, Los Angeles, CA; Silvershed, New York, NY; Sweeney Art Gallery, Riverside, CA; the Weatherspoon Museum, Greensboro, NC; the CCAC Wattis Institute for Contemporary Arts, San Francisco, CA; the Seattle Art Museum, Seattle WA; and Artists Space, New York, NY. Her work is in the collections of the Los Angeles County Museum of Art, The Museum of Contemporary Art, San Diego, and the UCLA Hammer Museum, Los Angeles, CA.